If you prefer raw sesame seeds then it is a good idea to soak them for a few hours. If you want to use roasted seeds then you have to roast them for a few minutes in a pan. The taste will be a bit different, the roasted seeds will have a stronger taste, but the heat will destroy some of the vitamins and minerals in it. Put the soaked or roasted seeds in a blender or food processor to create the paste. You may add water or oil to it to change its taste or to make it less dry. Store in a sealed jar in a cool dry place, away from direct sunlight. Do not refrigerate. It is recommended to try all the variations until you find the one you like. 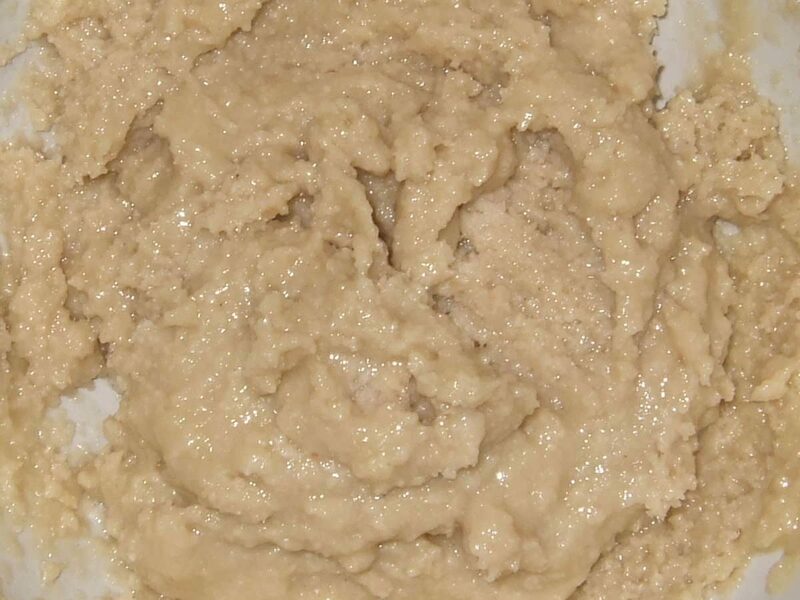 The picture at the top of the post shows a tahini made from hulled, raw sesame seeds with added extra virgin olive oil. Nowadays I use unhulled seeds without any extra oil added to it — this creates a darker and slightly bitter paste with much more nutrients in it.